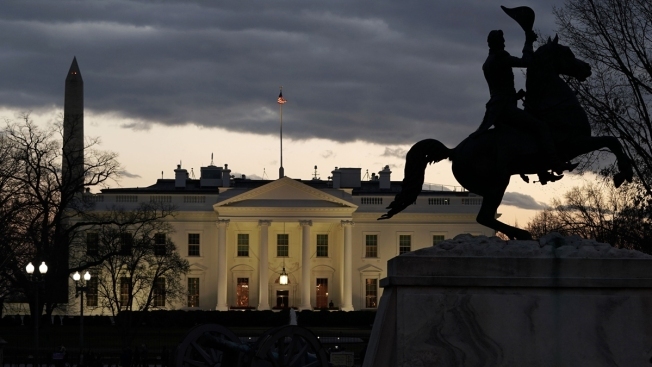 In this Jan. 8, 2019, file photo, the White House sits across from Lafayette Square in Washington, D.C., at dusk. A White House security specialist has been suspended without pay for defying her supervisor Carl Kline, less than a week after NBC News reported Kline approved Jared Kushner for top secret clearance over the objections of career staff. NBC News reported that the specialist, Tricia Newbold, had filed a discrimination complaint against Kline three months ago. Newbold's two-week suspension from the White House security office was for failure to supervise, failure to follow instructions and defiance of authority, according to the suspension decision notice obtained by NBC News. Security office chief Crede Bailey first proposed the suspension on Dec. 3, 2018. Newbold's lawyer considers her a whistleblower and said he believes the administrative charges were brought as payback for her decision to file the complaint against Kline. 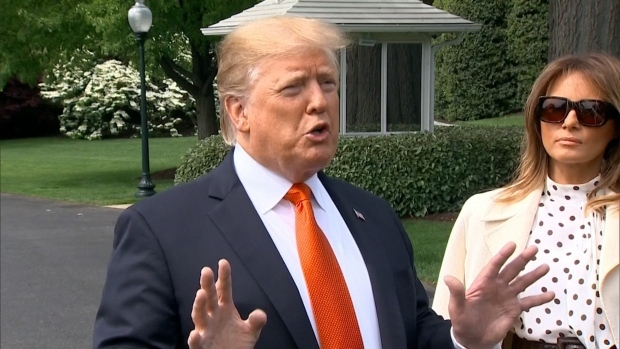 Asked about Newbold's suspension, White House press secretary Sarah Sanders said, "We don't comment on personnel issues."